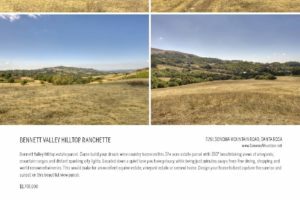 Here is your Bennett Valley Hill Top Ranchette Land available to create your dream property now. Come build your dream wine country home on this 37 acre estate parcel with 360 degree breathtaking views of vineyards, mountain ranges and distant sparkling city lights. This property is zoned to be able to split into two buildable parcels and has two 5-bedroom approved and vested septic designs on file at the county as well as a newly drilled 15 GPM well. You could potentially build two main homes without size limits plus two 1,200 square foot ‘Granny Unit’ second homes and two 640 square foot ‘Guest Houses’ on this property creating your very own family compound or vacation retreat estate. It is very rare to find a property that has the kind of flexibility that this one offers. It is located down a quiet lane that offers perfect privacy while being just minutes away from fine dining, shopping and world renowned wineries. 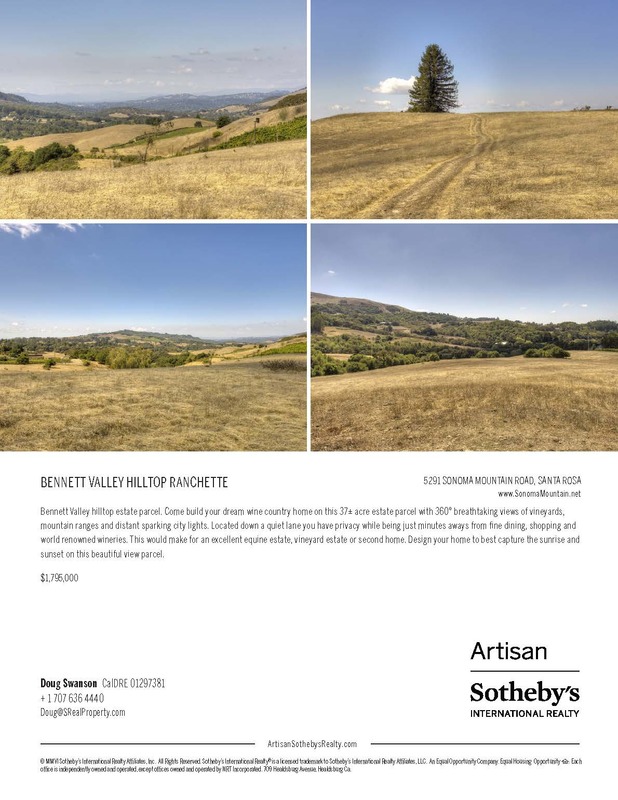 This Bennett Valley land would make for an excellent equine estate, vineyard estate or second home country retreat. Design you’re home or homes around it’s 360 degree views capturing the sunrise and sunset from this beautiful view parcel. Here you will find an absolutely gorgeous setting looking out over all of Bennett Valley to the city lights of Santa Rosa & beyond to the coast. The land is almost all rolling, regular & gently useable surrounded by oak studded hills and protected park lands. This property is conveniently located directly across the street from the entrance to Sonoma Mountain Regional Park offering miles of community hiking & riding trails. Bennett Valley itself is wrapped by three parks, The Sonoma Mountain Regional Park, Mount Taylor Regional Park & Open Space Preserve and Annadel State Park. Sonoma Mountain Regional Park directly across the street ties into Jack London State Park and the Bay Area Trail projected to extend over 400 miles around the Bay. You can hike, mountain bike or horse back ride directly from this property without having to drive or trailer your horses. 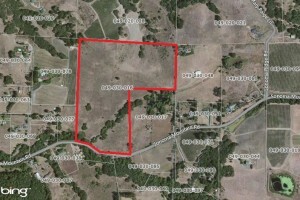 This area supports award winning vineyards & very Hi-End multi-million dollar estates. Enjoy being just a few minute drive to Glen Ellen, Kenwood and Santa Rosa, as well as convenient proximity to Sonoma’s town square and popular Healdsburg too. In addition, Bennett Valley offers the shortest drive possible to San Francisco that Sonoma’s wine country has to offer. From Bennett Valley you can be at the Golden Gate Bridge in just 45 minutes bypassing the 101 through Santa Rosa, Rohnert Park and the Petaluma grade where much of the traffic is created during busy commute times. This is a very desirable location and truly one of the most beautiful parcels and locations you will see throughout Sonoma County’s Wine Country. Call Doug Swanson and schedule a private viewing office 707-636-4440 or cell 707-291-4400 or click on the ‘Schedule Showing’ icon above and include your contact information.